In the space of a one-night-only performance, which by design is as energetically potent as it is fleeting, lies artist Allison M Keating’s reflection on “why stay alive?”—an existential question posed after a friend’s suicide and Trump’s detrimental renouncement of the Paris Climate Agreement. As ephemeral as life itself, On Death invites us to celebrate in raw reverie what gives us reason to live. 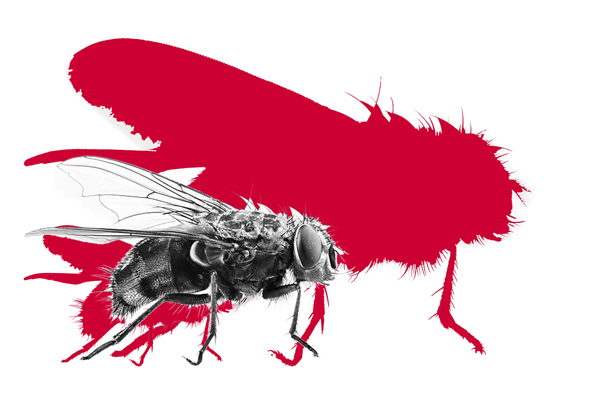 Appealing to the viscera of its audience with collaged visual metaphors of life-high mimicry and imaginative facsimiles of death (giant flies, song, hooded tap dancers, a TrumpFly, a choir), this cathartic release is bounded by the self-imposed limitation of the performance’s ultimate purpose—the creation of a paper tape, the pre-1912 method of printing film stills onto paper that proved to be the most durable method of capturing live performance. With technical and directorial decisions committed to the production of this paper tape--material testimony meant to outlast the humans in the room--the performance struggles with the tension between our id-driven quest for momentary pleasure and our ego-driven ambitions to leave a legacy beyond our corporal existence. Keating posits that both living in the moment and living for the future stem from the unitarily absurd motivation to cheat death as she asks us to consider this most influential of fears while reminding us that we always have hope. 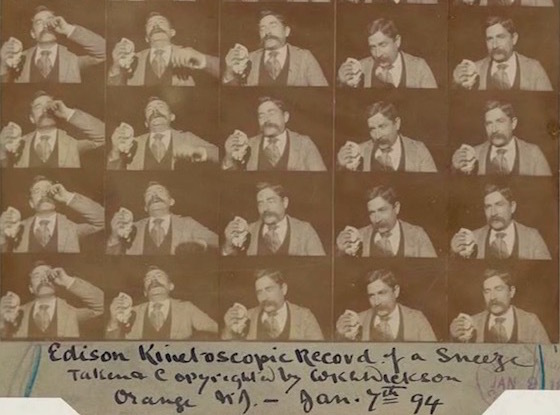 Edison Kinetoscopic Record of a Sneeze, Jan. 7, 1894. The original paper print of the first film by Thomas Edison created for copyright purposes. The paper print was created due to limitations by the U.S. Copyright Office when celluloid film was first invented. Only photographs could be copyrighted, not celluloid. As a result the films from 1894 - 1912 were preserved as paper prints, while their original nitrate versions disintegrated. Paper being a successful archival method to outlast us all, the final art object of the On Death project will be a paper print of the video documentation of the On Death performance. The video being several minutes in length, the paper print will be a few hundred pages. Created as an edition of two on acid free archival paper, one edition will be sold as a whole and one edition will be sold per sheet. All sheets will be numbered and signed by Allison M Keating. Donate to Wild Art Group to support the production of On Death at the $100 level or higher and receive one sheet of the On Death Paper Tape. The performance of On Death was made possible in part by a residency at the California Institute of the Arts Center for New Performance, Wild Art Group’s Board of Advisors and donors like you. Wild Art Group is a project of Fulcrum Arts' EMERGE Fiscal Sponsorship Program.